Good Monday Morning and welcome to the Buffalo Stamps and Stuff Monday Challenge. 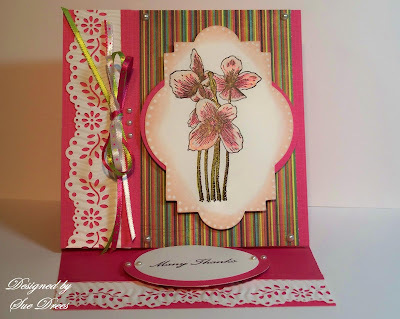 The challenge this week, is to make a card using a border made with a border punch that you have run through a crimper. 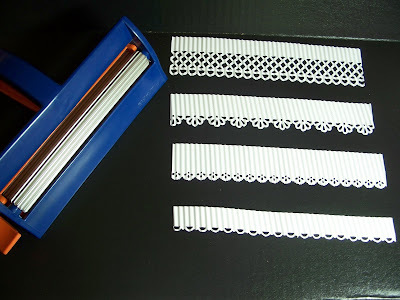 The crimper gives the border a gathered look. 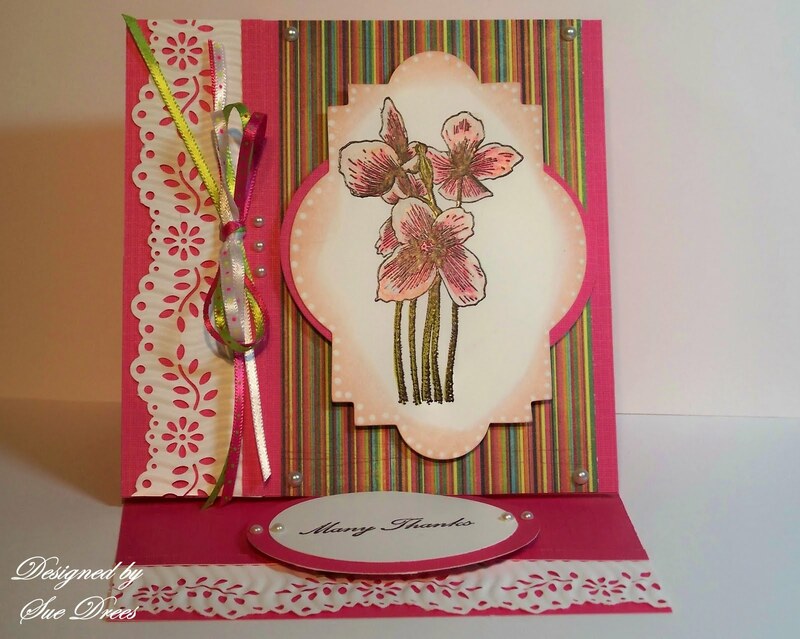 On my card, I have used a Martha Stewart border punch, then I ran it through the crimper. The stamp is by Penny Black. The stripped paper is from the Basic Gray Urban Prairie stack. The die cut that the flowers are stamped on is a new Sizzix die. 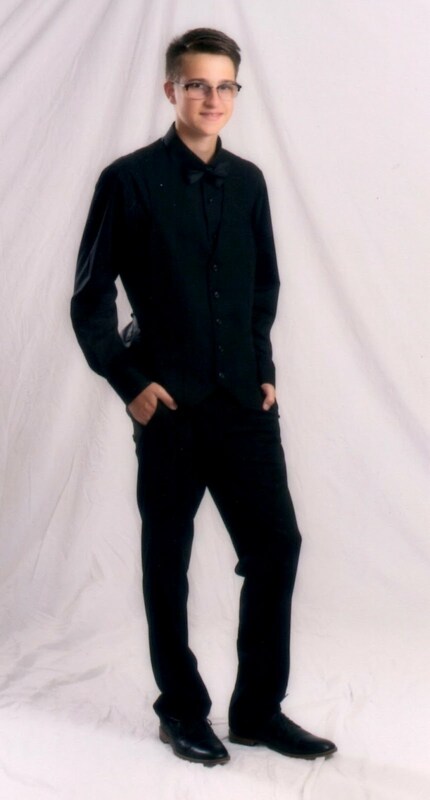 You can click on the picture to see the border close up. This little technique gives your cards a little different look. 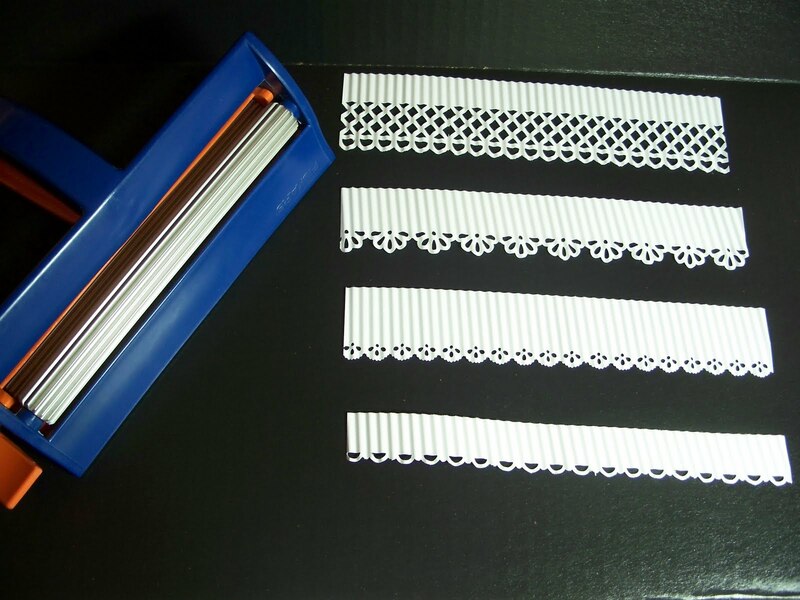 Some examples of different borders run through the crimper. Hope you have a chance to try this. more clever ideas! Sue -- this is fab. Not sure when my poor crimper got used last but I think it may just be coming out for a play soon! Thanx for the inspiration of your gorgeous card!